The Trekker Gait Thigh Prompts by Drive Medical can be positioned further or closer to the user to limit adduction/abduction. It moves with the user's gait pattern allowing weight shifting from one leg to the other. 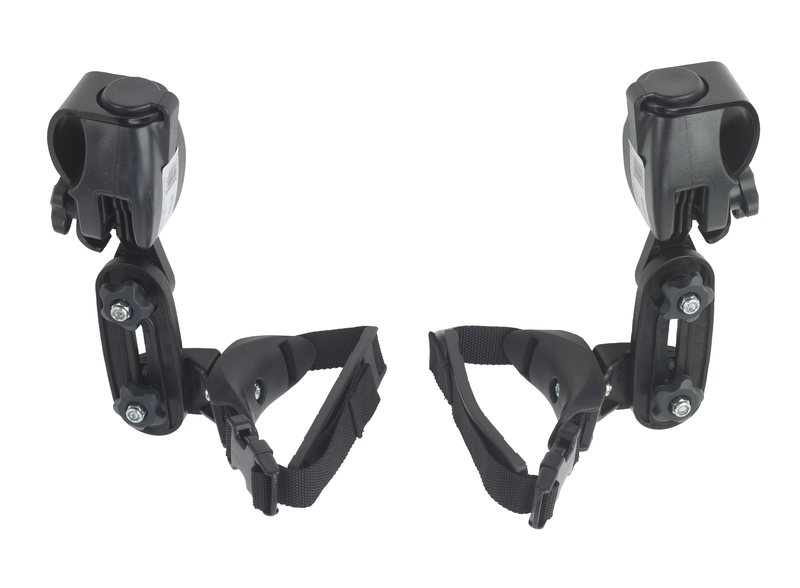 The thigh prompts are height adjustable.